As a family company established for many years we have built ourselves a reputation for the high quality works that we are dedicated to providing to each and every one of our clients. From school maintenance and refurbishment to domestic building and remodelling through to the refurbishment of social housing we are confident in the quality we know we can deliver to our clients. 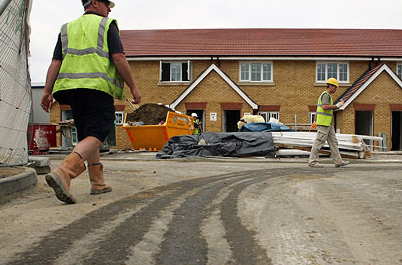 Along with residential and commercial developments we undertake council projects. We possess the knowledge and the ability to bring in skilled specialists sub-contractors to assist us in the development of highly demanding and innovative projects. UPL builds in strict accordance to Building Regulations and British Standards. All our works are guaranteed and are carried out to their highest specification by qualified and experienced tradesmen. We have full public liability insurance for your safety and peace of mind. At the end of each project you will be provided with Gas Safe, Niceic, FENSA, Completion Certificates,etc. UPL are based in Denton, Manchester. We do work in the Tameside, Manchester and Oldham areas. Please visit the contact us page. From new painting and decorating, kitchen fitting, build to full home refurbishment, bathroom fitting, house extension or loft conversion. Schools have their hands full educating our children, our hands will enable you to teach in the very best maintained environments. UPL can undertake refurbishment of kitchens, bathrooms, rewiring, central heating, roofing and window/door renewals and external works. UPL also offer specialist repair & maintenance, smaller scale improvements and specialist plastering services. © 2012 UPL. All rights reserved.